An elegant invitation. 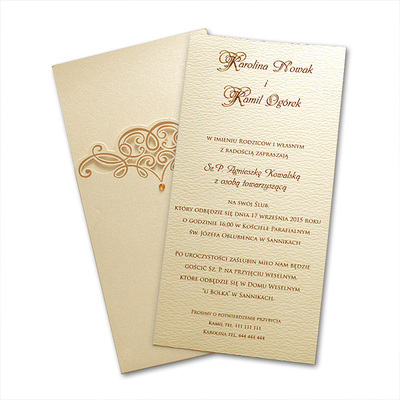 The inside of the invitation is made from matte textured ecru paper. 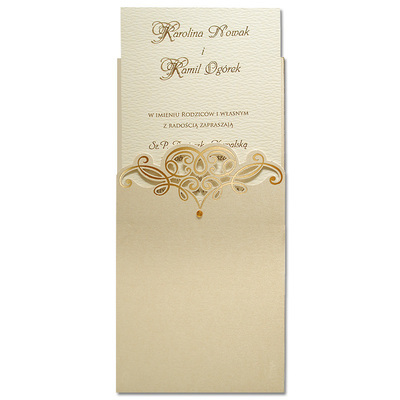 The cover is in the form of an ecru, metallic jacket decorated with gold foil. 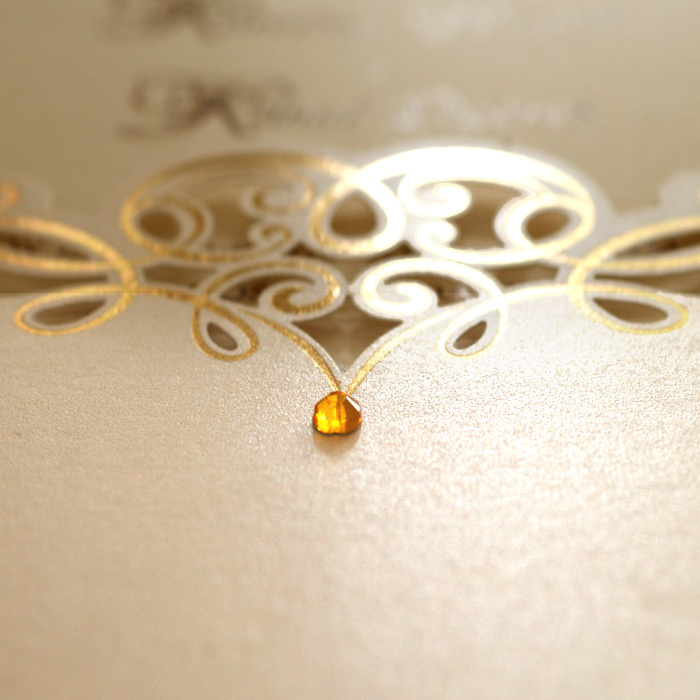 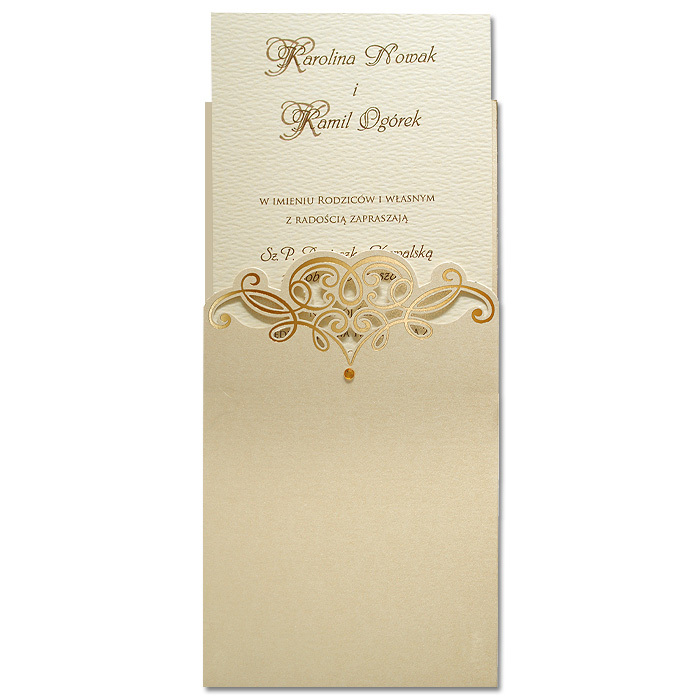 A little amber crystal, in the middle of the invitation is additional decoration. 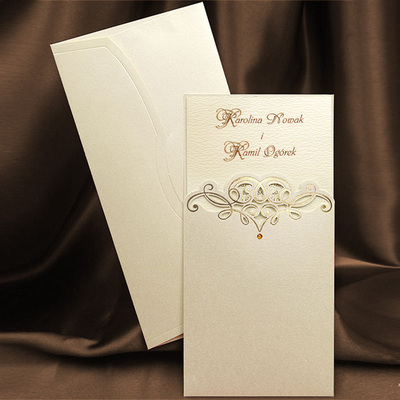 The invitation comes with ecru envelope.